Basically, a trademark is a “brand” or “logo” that you can use to distinguish your product from those of your competitors. Through trademark registration or you can say logo registration/brand registration, you can protect your brand or logo by restricting other people from using the same. For e.g. the logo of NIKE and their tagline JUST DO IT is a registered brand name. By trademarking your logo or brand, you are providing it protection as it is illegal to use the same logo or tagline. A registered trademark is an intangible asset for a business and is used to protect the company’s investment in the brand or symbol. After Trademarking your logo or brand, a registered TM number which works as trademark license is assigned within a period of three days by Trademark department but it takes almost two years for it to be registered so that you can use to use ® symbol with your brand name. It is always advised to get Trademark registration or brand name registration because getting your company registered will not protect your brand against those who might initiate using identical or similar marks. Before trademarking, make sure to check trademarks availability and it should be your first priority if you want to start a company. Trademark public search is an important step before trademark registration. You need to do a close search for trademark name as it will help you to avoid future problems. Trademark Registrations or TM Registrations is done through Balaji IP Prectice can be done through Balaji Ip Prectice in Delhi NCR, Mumbai, Bengaluru, Chennai & all other Indian cities. A trademark is any unique expression related to a product or service that distinguishes it from others. A trademark can be a visual symbol, which may be a word, a name, a device, label or numerals used by a business to distinguish it from other goods of different business. It is your silent salesman, your legal umbrella, your asset to flaunt. Owners of trademarks have exclusive rights to use trademark under the categories they are registered in (there is a total of 45 categories, called classes). Only Trademarks that are registered under the Trademark Act, 1999 provides the trademark owner right to sue for damages when infringements of trademarks occur. You become the legal owner of the registered trademark and no another person has the right to use your registered trademark without your prior permission. No action can be taken against a 2nd party if the trademark is not registered with the government. The registered trademark holder can take some legal action against anyone who tries to copy the trademark with any prior permission. One of the best qualities of trademark registration is that it helps you to establish a unique identity of your company. And no other competitor can apply or use your trademark for similar goods or services. 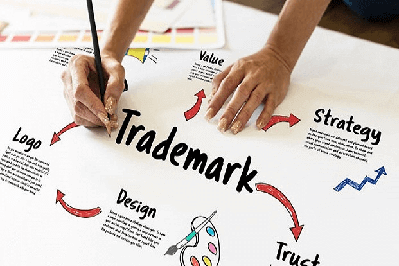 Registered trademark can act as an asset as the owner of the trademark can easily sell, franchise or allow it on the contract basis to another party. It creates a kind of intellectual property for the same. As registered trademark brings the uniqueness to your product, it can easily create a sense of trust, goodwill and quality in the minds of your customer. Registered trademark is easily searchable as it is available in government trademark database. It also helps you to get popular among people which are a great sign for your company. Balaji IP Prectice check trademark availibity or check brand name availability on the behalf of their customers to make sure that their desired name or design has not already been taken or isn’t too similar to an already existing trademark. You can also check existing trademarks at search.balajiipprectice.com. Because being exclusive do matters. This check well ensures that are no issues & there are minimal chances of an objection being raised in the future. Once we ensure that your chosen name or design is available & exclusive, we send you an authorisation letter which has to be duly signed by you and returned to us. These letters give our lawyers authority to file a trademark application on your behalf. Once we receive the authorisation letter & provided that no information is incorrect or partial, our lawyers will file the trademark on your behalf, and you can immediately start using the ™ symbol. We will provide you with the TM application number. We file the trademark different at the central trademark department office or via online. A trademark can be filed online only by a registered lawyer or agent. Once a trademark application is complete, your application will be verified by the trademarks office. The government can also raise an objection on if your name similar to some other trademark in the same class, or the name is deemed obscene, hurts religious sentiments. In case no objection is raised, the trademark registrar will publish an advertisement in the trademarks journal. If no opposition is filed by any party within a period of 4 months, the trademark should be registered within the next 6 months. During this period, we constantly provide you with updates regarding the status of your application. You will need to pay the additional fee in case of such objections. If the objection has been filed on your trademark and the opposition doesn’t agree with your response, then hearing is held before the registrar. We appoint lawyers (charges extra) to take up your case in front of the registrar. This symbol can use with the brand name until your trademark is not registered and the application is in pending status. This is to inform the public of his exclusive claim over the brand. The claim may or may not be valid depending upon the result of trademark registration. It is also a kind of trademark which Service Mark, but it identifies and distinguishes the source of a service rather than a product. For example, you will use TM for a product and SM for a service like housekeeping. This symbol is only applicable for your brand when the mark is being registered and the Certificate of Registration is issued by the Trademark Registrar. Among all the words which are being mentioned above, TM is the most common word which is being used frequently by owners of the brand.